Beyond Video has submitted our wish on Intuit’s Small Business Big Wishes program and we’d love your vote to help us get our wish granted. It could make a big difference for our business. 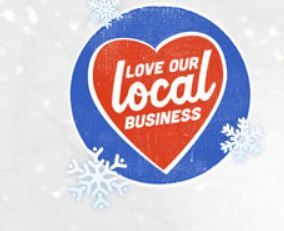 Click here https://www.loveourlocalbusiness.com/?x=us_showcase23_1632 to see our wish and to vote. The link below shares some of the short clips we’ve already created to help tell the story. The theme for the 35th Tucson Pride in the Desert was, “Pride Links Us Together”. The event was held at Armory Park where there was entertainment from local musicians, a mass commitment ceremony and exhibits from local organizations from the community. Click on the links below for part 1 and part 2 of the event that Beyond Video filmed and edited. A Special thanks to Jaime Soto (aka) Jaime J for providing us his original music. We want to thank our friend Joe who came in for the event and helped us out. 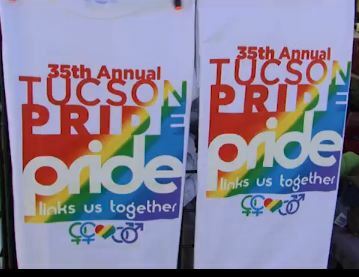 This year’s Pride on Parade was held in downtown Tucson along Armory Park on Saturday, October 13, 2012. People in colorful floats, cars, trucks and motorcycles joined in to celebrate this year’s theme of, “Pride Links Us Together”. Check out the highlights on the link below. A special thanks to Jamie Soto (aka) Jamie J for providing the original music. Thanks to our friends Trish, John & Joe for helping out. We love you guys! AERO Automatic Sprinkler Company tested 6 foam generators which are used for fire suppression in a newly built airplane hanger. The first day tested the water sprinkler. The second day tested the foam sprinkler. The foam needed to cover the entire surface up to 3 feet deep in 3 minutes. The foam actually rose to about 6 feet which is about 2 feet lower than our camera position. With our 2 cameras we were positioned on a lift that rose 6 feet in height. We were harnessed in for safety reasons. The most exhilarating part was when the foam started to pile up. Check it out for yourself from this short video clip of the testing.